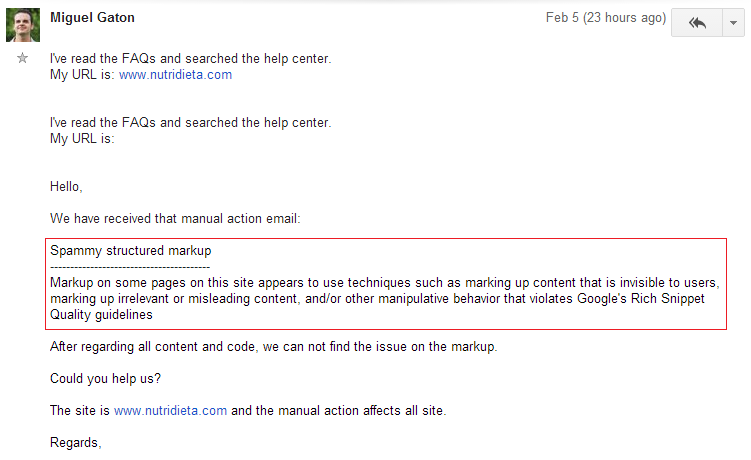 Google Sends Manual Penalty for "Spammy Structured Markup"
It looks like Google has been cracking down on rich snippet spam more actively, as they seem to have started sending out manual penalty emails for websites with “Spammy Structured Markup”. 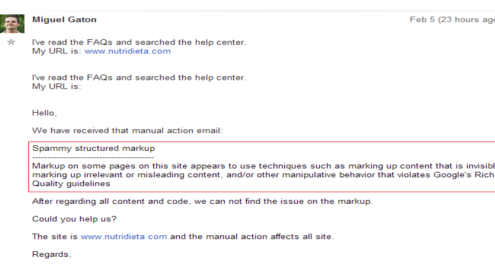 This isn’t Google’s first move in their efforts to combat rich snippet spam. 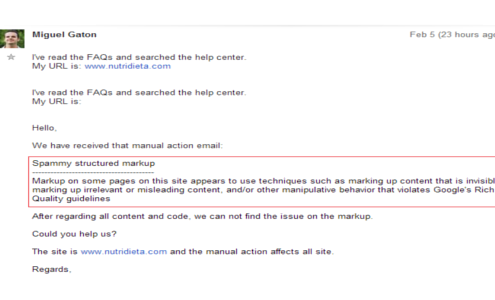 In January 2012, they started allowing users to report spam in rich snippets using a simple form. In December 2013, they reduced the appearance of authorship snippets by 15%. What can you do to avoid this penalty? If you’re still having trouble implementing markups on your website, talk to us and let our SEO services take care them for you. https://www.truelogic.com.ph/wp-content/uploads/2014/02/1.png 300 495 Elrica Gosiengfiao https://www.truelogic.com.ph/wp-content/uploads/2018/03/Truelogic-Logo-Colored.png Elrica Gosiengfiao2014-02-06 17:27:352016-08-30 17:44:42Google Sends Manual Penalty for "Spammy Structured Markup"